Most people know Paul Ryan for his wonkish mastery of economic policy. He put forth a serious and controversial plan to balance the federal budget and rein-in entitlement spending. It eventually passed in the house but died in the Senate. Although the plan was controversial, many conservatives loved it and admired him for his boldness. He looks like a boy, but he’s the man with the plan when it comes to economic policy among Republicans. 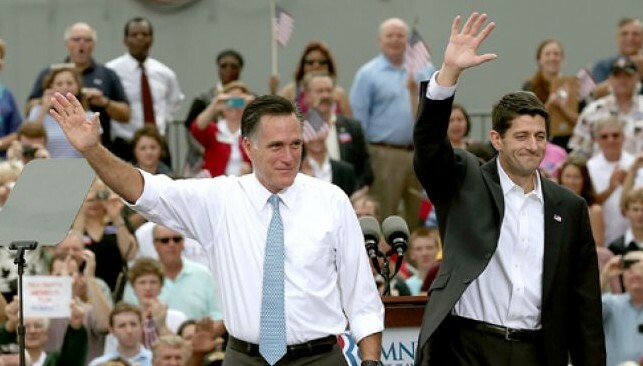 Since this election is supposed to be about the economy, it’s not difficult to see why Romney selected him. Marriage—In 2006, Ryan supported the effort to amend Wisconsin’s constitution to define marriage as the union of one man and one woman. This is significant because the amendment excluded civil unions as well. In other words, Ryan is on the record opposing both gay marriage and any other arrangement that would confer marriage-like benefits to gay couples. I cannot believe any official or citizen can still defend the notion that an unborn human being has no rights that an older person is bound to respect. I do know that we cannot go on forever feigning agnosticism about who is human. As Thomas Jefferson wrote, “The God who gave us life gave us liberty at the same time.” The freedom to choose is pointless for someone who does not have the freedom to live. So the right of “choice” of one human being cannot trump the right to “life” of another. How long can we sustain our commitment to freedom if we continue to deny the very foundation of freedom—life—for the most vulnerable human beings? Has a 100 percent voting record with the National Right to Life Committee. Voted against allowing embryonic stem cell research. Voted against the transportation of minors across state lines for abortions. Voted against partial birth abortions except to save a mother’s life. In short, Ryan looks like a solid, pro-life pick for VP.